Every once in a while, someone will submit a letter to the editor or an op-ed piece that really gets under my skin. It’s a 460 word bit of cheerleading, much longer than letters accepted from the rest of us ordinary mortals. Shorter Dennis: I’m an engineer, and engineers have looked at these proposed mining operations, so what’s the problem? Martenson’s letter is one of the better recent examples I have seen of the hubris of engineers, one of the most hubris-filled professions extant. (And I include physicians.) You’d think that there are enough websites reciting the most gruesome engineering disasters in history to make Dennis and his pals a little more circumspect, but you’d be wrong. One of the more charming points made in Martenson’s letter is that the project “has involved” engineers from all of the world. Yes, that is true, including a company that has been advisory to the Land and Minerals Division of the Minnesota DNR, Knight Piésold. 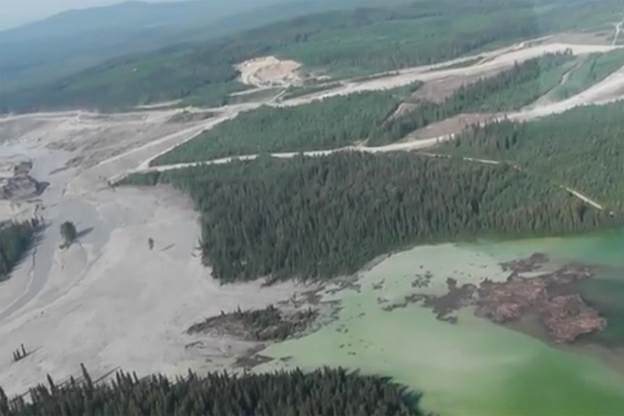 Remember the tailings dam failure in Canada I mentioned at the beginning of the story? It turns out that Knight Piésold is the same merry band that designed the tailings dam that failed at Mount Polley in British Columbia in 2014, polluting the most prolific sockeye salmon river on the planet. Not kidding. But these are the kind of people the supine Land and Minerals Division of the Minnesota DNR love. These are Dennis Martinson’s peeps. These are some of his other peeps, the mining people at TKDA, where according to the internet, Martinson spent some time (at TKDA, that is). It is regrettable that the Strib was uninformed or chose to ignore Martinson’s pedigree. It comes down to who are you going to believe? Martinson or your lying eyes? Just as a sidelight, Martinson is the kind of witness that lawyers love to depose: often uninformed but never uncertain.